It was the middle of June. It was really hot. I was bursting with frustration. I knew I needed to stomp out some of those frustrations on the trail, but I never knew that day how much God was going to show up. It felt like He wanted to shout to me from the hillsides, and boy, I heard Him loud and clear. I mean, I felt like He was yelling in both my ears…not in anger but just clearly so I would know exactly what I needed to hear. I was starting to wonder if the rocks were going to start to “cry out” so I listened. Carefully, intently, and I stopped to take pictures and notes of what He was showing me. I stopped and sat down occasionally and wrote the messages out. On this particular day of hiking I was looking over at the dry creek bed in my favorite canyon in Tucson and the dusty path that leads to the water’s edge. I realized that the dry season was almost over. Everything in the desert was withering, dying, and disintegrating. It was waiting for the refreshment of the monsoon weather or it would soon die of thirst. The late afternoons would soon bring in the rush of the wind, the huge and short-lived downpours, and the sudden filling of the dry washes with unexpected torrents of water. When these monsoons happen…everything will grab at the thirst-quenching rain in order to survive to the next rainstorm – and further on to the next – until the desert heat finally subsides, rain comes more frequently and the plants resume their healthy appearance. 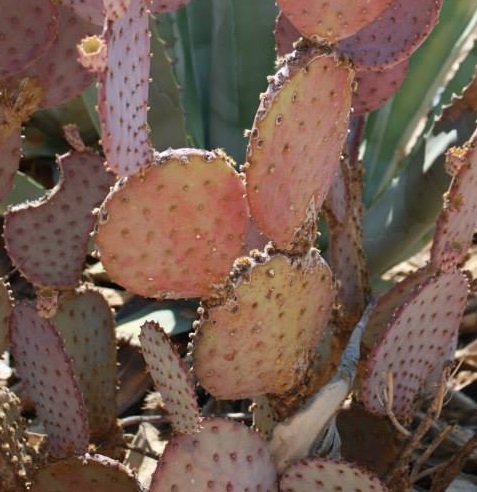 From the looks of some of those cactus that day… I’m pretty sure some wouldn’t make it. The first few monsoons are usually spaced far apart – sometimes a week or two go by with the return of the extreme heat and the cloudless skies until another abrupt storm culminates over one of Tucson’s local mountain areas and let’s out a good downpour. Everyone pretty much agrees – those downpours lift their spirits. The best part is that the desert begins to emit a sweet perfume like none other. God’s point for me was this… I was dry, withering, and was close to disintegrating in my walk of faith with Him. 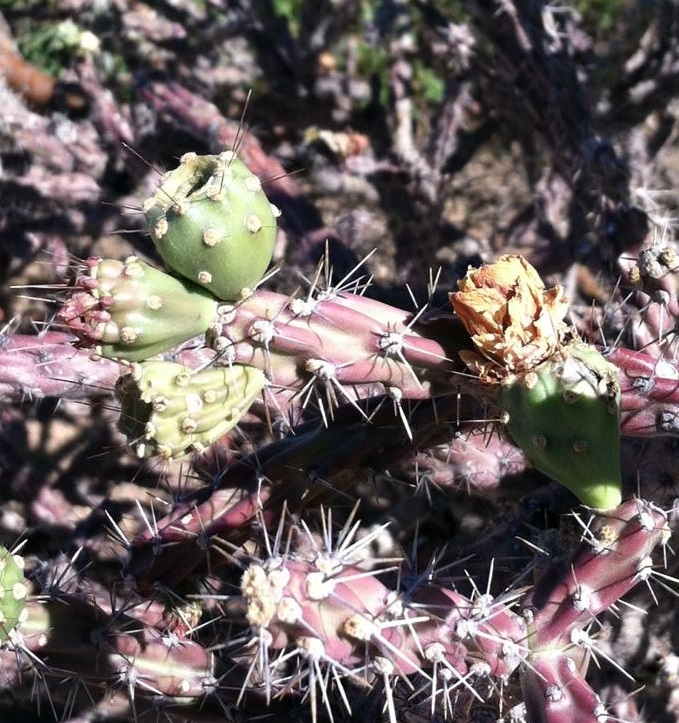 God was showing me this as I walked and as I carefully examined the cholla and prickly pear that appeared gaunt and hollow. They needed a refill and so did I.
I needed a refill of the Holy Spirit. We all need this occasionally. Part of that is our responsibility by reading scripture, praying, and seeking His will in our life. But, sometimes we just get discouraged, lazy, or complacent. It’s then that we begin to wander … yes, wander right into the desert. But who knew that wandering into the desert would result in the promise of a refilling of the Holy Spirit? I am clearly, and somewhat impatiently, waiting for the monsoon to blow in. Someone shared a devotion and when I heard the message I knew there was more refreshment to come. How appropriate that the devotion came from a book titled Streams in the Desert. How appropriate that the message was about how God uses brokenness. There isn’t much in me right now that doesn’t feel broken. The hope was in this: brokenness is useful to God and I daresay it is essential to being filled by the Holy Spirit. Withering and broken people, when drenched and filled by the Holy Spirit, then have the opportunity to become a beautiful fragrance. Tomorrow, I hear, it’s supposed to rain. I can’t wait!